This week’s exhaustive investigation involves parking madness, pension possibilities, class warfare, radio gaga and enough to keep you from mowing the lawn until lunchtime. On 31-1-2017 I parked a car in the car park at Plassey Place, Eltham. I entered the correct reg. and paid £1.20p for two hours, a ticket was dispensed by the machine and I displayed it on the dashboard. I did not look at the ticket, I trusted the machine, silly me. On my return a parking fine was fixed on the windscreen. On looking at the ticket I displayed, I saw the reg. was for a different vehicle and one hour duration. I appealed but it was refused and I was invited to appeal again. I wrote to the DVLA asking for details of the owner of the other vehicle. This was refused. My question involves the machine. Does it keep a record of the transactions? Who will supply this information? And am I entitled to get it to prove my innocence? It took two weeks for a reply from DVLA and I have a about 10 days to lodge a further appeal. I think you might have miskeyed your reg. This is how private parking contractors are using The Protection of Freedoms Act Clause 56 2012 and the Supreme Court ruling in Beavis v Parking Eye 2015 to unfairly rip the public off by making it difficult for them to buy parking tickets. Let the case go to the County Court and plead your case there. Try to get sponsorship to take it to the High Court and thence to the Supreme Court to get a ruling on these specific facts so that Beavis cannot be used for them in the future and parking enforcement operators will be forced to play fair. Could you please advise an OAP? I am on the verge of signing up for a Toyota CH-R petrol Hybrid. I was going to go for a nearly new Qasqhai or SEAT Ateca but heard about this new hybrid that would suit my numerous short journeys and my few long journeys. I will be spending a lot more for a car than originally planned but it seems to make sense. What’s your view of this new car and my dilemma? I tend to keep cars for as long as possible and this may be my last car. Rather than purchasing through PCP I could get a loan from a bank at a lower interest (3.2% instead of Toyota’s 5.9%) and buy the car outright. I am told by many that PCP is the better route. Do you have a view. The C-HR hybrid rides, handles and looks far better than a Juke and is obviously better for short runs from cold than a diesel. Excellent suspension. Good ride and super handling: /road-tests/toyota/toyota-c-hr-2016-road-test/ If it's a long term purchase and you can afford to buy it then better to do that than have it on a PCP. For nearly three years we owned a Yeti 2.0 litre diesel, one of the ones with the dodgy engines. It ran perfectly throughout and we never had the slightest trouble. It is now being suggested I join a legal class action to claim damages against VW Group. I am in two minds, firstly we never had any problem that I know of; and secondly I suspect this is just a means for the lawyers to get extremely fat. Being somewhat cynical I suspect that they will cream off most, if not all, of any monies awarded. Ethical issues aside, is this worth entering into in your opinion. I am sure you may have covered this already, but travel and grand children mean I don’t always have the luxury of being able to sit and read the Sunday paper. Quite right. If you have no problem then no need to join a legal action and help some shyster lawyers get rich. I had a meeting with engineers from Wolfsburg on March 1st. Basically the fix involves reducing NOx without any effect on power, torque, fuel economy or CO2. But reducing NOx means increasing soot, which has to be burned off in the DPF and requires additional fuel. To do this without affecting power, torque, fuel economy or CO2 the software changes the injection pattern, so fuel is now pre-injected, followed by a main injection, followed by a 2nd main injection. Obviously, for this to work, the injectors have to be in tip top condition and the EGR valve stem must not be won. Problems have arisen when injectors were old, dirty or worn and where the EGR valve stem was worn. But, out of 480,000 fixes applied so far, there have only been 3,600 complaints and out of them 60% were noise related and 35% were complaints about poorer fuel economy and EGR problems. VAG says that only 150 cases of problems after the fix remain outstanding. In September last year I purchased a new Mercedes 180d Sport from the local main agency. From the beginning there was a serious fault with the FM radio. The car has been taken in to rectify the problem five times and is due to go in again this week. They tell me that the one sure way to cure the problem is to fit a DAB unit that will cost me £450. Surely the fault is theirs and the remedy should be fitted at their expense? Very few complaints about current A-Class but it is typical of German manufacturers to strip out base models to the most basic spec then charge for anything needed to bring them up to the spec the customer wants. I am thinking of purchasing a new Ford EcoSport 1.0 EcoBoost 125 Titanium. What is your impression of this vehicle please? From new, the engine of my 2014 Nissan Micra has had a rattle when hot. Total mileage is still under 6,000. The rattle occurs between about 2,300 to 3,000rpm. When cruising along, the slightest extra pressure on the throttle causes a fluttering rattle like castanets. Ease off the throttle slightly and the rattle goes. It also occurs, briefly, at the same engine speed when changing up or down through the gears. The dealer says the noise is 'normal'. As the warranty expires at the end of the month I would value your comments. I see from the Abarth 500 manual that the amber triangle (with an exclamation mark inside it) is a “generic failure indicator”. It can be triggered by “engine oil pressure sensor failure” (which is what the garage thought it was) but also by “fuel cut-off inertial switch intervention / fuel cut-off not available.” Thirdly, it indicates “external lights failure”. I notice that at least one of my external lights – the number plate light – is not coming on. Could it be something as simple as that? It could be because the wiring loom to the tailgate can get trapped and cables severed. I am currently running my Skoda Yeti on steel wheels and Nokian winter tyres. The summer tyres (on alloy wheels) I would swap to at the end of March are down to under 3mm so need changing. I am tempted to change them for Michelin Cross Climate tyres and sell the winter wheels/tyres. Now retired I am not obliged to use the roads in very bad winter weather but would still like the security of having tyres which will be effective in the cold winter months and in moderate snow falls - if we get any again! Also getting older it would be nice not having to change four wheels twice a year. I’d welcome your advice and also your views on whether Michelin Cross Climates give a comfortable ride and provide a quiet cabin. Yes, and yes. Besides the cold weather benefits Michelin Cross Climate tyres at lowish pressures improve ride comfort, improve steering feel and reduce noise. I'm wondering if there's there any history of water ingress into current model VW Polos? I bought a 5-door Blue GT, 66-reg at the start of December (it was the dealer demo, which they'd had on the road for 3-4 weeks). In any vaguely cold or damp weather (not exactly a rarity in Lancashire) there is what feels like excessive misting inside (especially for a new car), to the extent that sometimes I need the aircon on almost constantly to keep the windows clear. I keep the windows clean, as I think that can have an effect. I have my suspicions about the seals round the rear doors, but don't know if I'm barking up the wrong tree. Might be that you have to get the a/c and venting at exactly the right settings: a/c on, warm air, and directed at the front screen. Or might be residual damp inside the car because the vent well got flooded and saturated the pollen filter. I am about to take delivery of a new Audi A5 quattro Sportback, having had Audi cars for many years and been very pleased with them. However, our local single-track country roads tend to become covered in all manner of agricultural debris, are not cleared of snow as often as in the past and our through-routes can be heavily salted in the winter. Winter tyres are used October - March. Consequently the paintwork on cars can take a bit of a hammering over the years despite Autoglym Lifeshine and regular cleaning and polishing. Also I use my car for other pursuits such as shooting, skiing, hillwalking that can get you into some muddy places (hence the quattro). I am considering an extra second-hand 4x4 vehicle to reduce the winter wear and tear on my new car as well as being useful off road without spending a lot on it. Any suggestions on a suitable "cheap as chips” but safe and reliable second-hand 4x4 for this purpose? Old Shogun old Trooper, Nissan Terrano II, first generation KIA Sorento or even a Hyundai Terracan. I'm about to collect a new VW T6, 2.0 litre, diesel, auto campervan. Please give me some tips to help me get many years trouble-free motoring, especially engine/gearbox care, paint work and underbody. Thank you so much. Ignore VAG Longlife Servicing and for the ultimate long life of engine components change the engine oil and filter every 5,000 miles or every year, whichever comes first. Use the vehicle as much as possible. Do not leave it sitting for months on end on your driveway or it will deteriorate significantly. Have the DSG fluid and filter changed ever 4 years or every 40k miles whichever comes first. Timing belt, tensioner, waterpump and aux belt every 60k miles. It's a big vehicle. Difficult and possibly dangerous to wax the top regularly. So consider a paint treatment such as Autoglym LifeShine. You recommend changing diesel cars when they reach around four years old as this will be when they start requiring expensive repairs. I have a five and a half year old diesel BMW X3 that has been very reliable and has not needed anything out of the ordinary in servicing. It has, however, only done 33,000 miles. I use it for local low trips and some longer distances including about three runs to Scotland each year. Do I replace it due to its age or keep it due to its low mileage? I don't anticipate covering any more miles per annum in the future. Also, should I stick with the local BMW dealer for future servicing or should I look for an independent service garage? Your experience is contradicting that of the unlucky readers who write to me, so it's a game of chance. There are lots of things that could go wrong such as N47 timing chain, EGR, DPF. So far they haven't. And, as far as we can tell from the sketchy budget speech on 9th March diesels aren't getting a tax hammering. Unless you can find an independent BMW specialist who knows the cars and has the right tools, stick with the dealer. Don't expect just any garage to be able to look after the car. I would be grateful for any advice you might have on an intermittent fault my car has, which my Audi dealer has been unable to solve over the past 2 years. The car is a 2006 Audi A4 Avant 3.0 TDi Quattro. Every so often it fails to start, although the starter motor turns, and the battery is fine. By the time it goes into the garage, or the RAC come out, the problem has often resolved spontaneously. They think it is an intermittent fault with the ECU - the RAC diagnostics showed an error code of DTC01314. My problem is that my Audi garage seem unable to sort it out. The car is low mileage (40,000) and otherwise trouble free and so I am reluctant to get rid of it, but it is too unreliable as it is. I don't know if you have any knowledge of this problem, or can recommend someone who might be able to sort it out - I live in North London but wouldn't mind traveling to an expert! Get in touch with Wheelbase of Hersham. They are really good with this sort of thing on older Audis. http://www.wheelbase.uk.com/ Try to speak to Colin Marshall. In October the airbag warning light on my 2009 Honda CRV illuminated. This concerned me (and is an automatic MoT fail). My dealer, Johnsons, diagnosed this as a faulty drivers airbag inflator. They told me the part was over £900. I contacted Honda Customer Service and I was offered it at a reduced cost of £447. By December the part had not arrived, so I did some research and discovered that Honda had a global recall on certain models (mine included) as faulty airbags had killed over 10 and injured almost 200 people. The part finally arrived this month and I returned to Johnsons who explained that it was impossible to order the airbag inflator separately so they were fitting a new steering boss that included a new airbag inflator. They then told me they had called Honda Technical and been told to replace the airbag Inflator a second time with the unit provided separately under the terms of the recall. Therefore, I paid for an item that was fitted and then replaced by the recall item. I contend that the recall item would have fixed the problem, so how do I get recompense? Do I need to go to Small Claims? You are referring to the Worldwide Takata airbag inflator recall, involving tens of millions of cars and scores of millions of airbags built over a 20-year period. As with any large-scale recall it was impossible for Takata to suddenly produce the numbers required immediately (how do you re-manufacture 20 years production in one year? ), so the part was not available when you needed your MoT and could not be fitted at that time. Understanding that, it's up to you whether you take further action. I want to test drive the Peugeot 3008 with the 1.2 Puretech 130 petrol engine and EAT6 transmission. Dealers seem to only be being given manual versions by Peugeot UK to have on their demo fleets. Would I get a reasonable idea of how the EAT6 box performs if I were to test drive a new 308 with the 1.2 Puretech with 6-speed auto, or is that car running with a different transmission? Yes. A 308 or a Citroen C4 Picasso with the same engine and EAT6. On 4 February you replied to a reader’s query about water in driver’s footwell of a Passat and how to sort it by unblocking drainage channels. I am trying to find your reply but can’t. We have same problem with our Octavia (it may be related to sunroof), but our garage does not appear to have experienced the problem. Is it something I could do fairly easily? To find out if it’s caused by blocked vent well drains, open the bonnet and inspect the drains at each side of the vent well (the area under the grille at the base of the windscreen that admits fresh air to the car). If it's flooded, unblock the drains and replace the pollen filter which will be sodden wet. If the problem is caused by sunroof drains, then you need to check if the drains at the front from the sunroof surround are blocked or have become detached. Last August I bought a 2006 SEAT Alhambra with 57,000 on the clock for £4,000. I need a vehicle of this size for my work. Unfortunately, whilst stopped on the M1 to avoid an accident, some guy hit me up the back. Whilst we thankfully all got out ok, and eventually we were allowed to drive on our destination, the Alhambra has since been written off, and they made an offer of £4,375. I allowed Direct Line to try to find a replacement vehicle of similar size, mileage, age, etc., but, the best they came back was a 2002 with similar mileage or an 2006 with 90,000. Neither acceptable. Whilst awaiting the outcome Direct Line agreed I could have a van, so I could continue my works and find a vehicle. They never said it was only for 14 days at the time, but today I was told it’s written into my policy. I've also contacted Tesco, the other driver’s insurers, but they won't cover the cost of extra hire. I've got to continue the van hire at my expense. I've missed out on Galaxys, Alhambras, Sharans because the money still hasn't been forthcoming. The cheque only arrived yesterday, after DL search firm failed to find a suitable replacement, so, once cleared, that will be Saturday week before I can afford to replace it. Basically you hoped to benefit from Direct Line’s write-off replacement service, which gives you the use of a hired vehicle for 14 days. That delayed payment of the generous write-off allowance. It all came unstuck when they couldn’t find an acceptable replacement vehicle for you, so now you are in the position you would have been in if you had simply taken the write-off money in the first place. My home is located in Queens, Saint Albans, and is currently falling apart due to a speed bump in the road in front. I've reached out to the Department of Transport many times and nothing. I'm constantly being ignored even after filling numerous reports. I sent in photos and I recordings, but nothing. I'm not in a position to afford an attorney. My house all we have. And now this. If seismic damage to your house is denied by the council, then expert tests need to be undertaken for tremors from the speed humps and you will have to employ a solicitor to act on your behalf. You could go to Citizens Advice but I don't think that will be enough. If the house is being severely damage by tremors from the humps and you win your case, the council will have to fix your house and remove the speed hump. Assuming the house in a good state of repair would be worth at least £200,000 then the risk of paying for a seismic survey and a solicitor is a risk worth taking. I have a 2005 VW Golf Mark 5. The ESP light is on and won’t go off. However, the sensors are all fine. Is this a well-known and established fault that Volkswagen knows about? If so, will they repair the fault free of charge, and how can I get them to do this? Not on a 12 year old 2005. VW stopped doing this repair FoC a couple of years ago. VW garages and specialists know what to do. They either get an ABS module refurb kit, or they send the module away to http://www.ecutesting.com to replace the brake pressure sensor. The whole job including dismantling carriage, refurb and refitting usually works out at about £500. I get annoyed by Motorway information signs stating: “Think. Save a life. Don’t text on your mobile.” It should read: “Think. Save a life. Do not use your mobile while driving.” How can we get this changed? It's because texting on a mobile diverts much more attention from driving than talking on a mobile. Far more death crashes have been directly attributed to this than from speaking on a mobile. 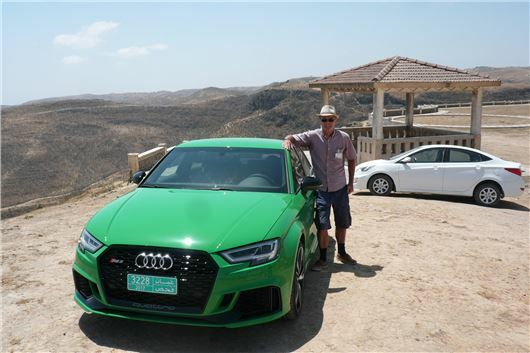 I am thinking of replacing my 12-year old Audi A3 Sportback 3.2 quattro with a new Audi S3 Sportback. A friend has suggested leasing a new car instead of buying. Are there any advantages to leasing, and if so would you have any advice as to who to lease from if you consider it a sensible option? My local independent VAG specialist charged me £285 to repair the ABS unit on my Golf Plus using a genuine VAG repair kit. Still all good 3 years on. Issue whilst the ABS light was on was no traction control and improved MPG, but the increased MPG may have been due to over easy driving style and more engine braking, as I needed to continue using the car prior to being repaired. To answe CG's query, I bought a new Ford EcoSport 1.0 EcoBoost 125 Titanium twelve months ago. I must admit I had some reservations, having had a Golf Mk.V 2.0 diesel for the last dozen years. Mine, built in early 2016, benefits from the mid-life upgrades, which addressed the problems highlighted by the initial feedback on the model. I can honestly say that I find the Ecosport is excellent, the 125 petrol one seems rapid enough for everyday use and it's fine on the motorway. I have owned the first three Marks of XR2 in the past, none of which were as powerful as the Ecosport, which I guess is progress, yet I've seen reviews that suggest the Ecosport is "underpowered". The interior space is decent enough, though the luggage area is small compared with the Kuga.